To buy a registered toy poodle, a person will need to check with the American Kennel Club (AKC) for breeders who routinely register their litters with the AKC as purebred dogs are only eligible for registration if the litter was registered with the AKC. Once the litter has been registered, then the owner may register his or her puppy by filling out the AKC application and paying the AKC registration fee. Some dog breeders will register the puppy with the buyer to ensure it is registered properly. The toy poodle is a smaller version of the sophisticated and intelligent standard poodle as well as the miniature poodle. 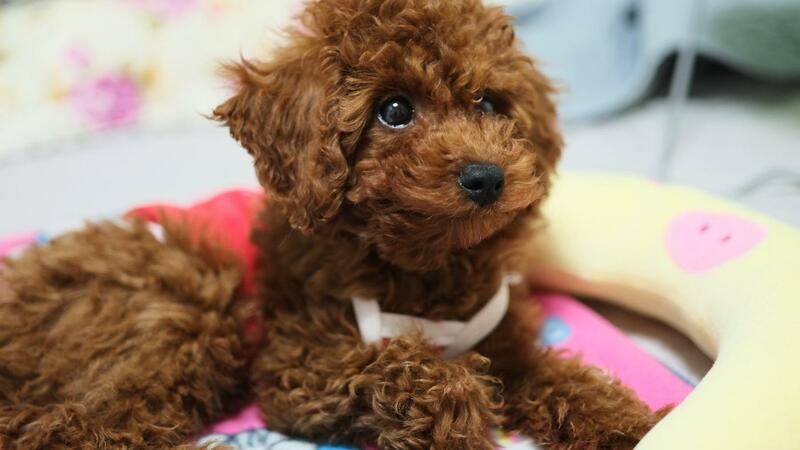 The toy poodle dogs have a lifespan of 12 to 15 years and weigh between 6 and 9 lbs. The miniature poodles weigh between 15 and 17 lbs. while the standard poodles weigh between 45 and 60 lbs. What Are Some Breeds of Cute Fluffy Dogs? How Do You Enter Your Dog Into an AKC Dog Show? Where Can You Buy Teacup Papillon Puppies?